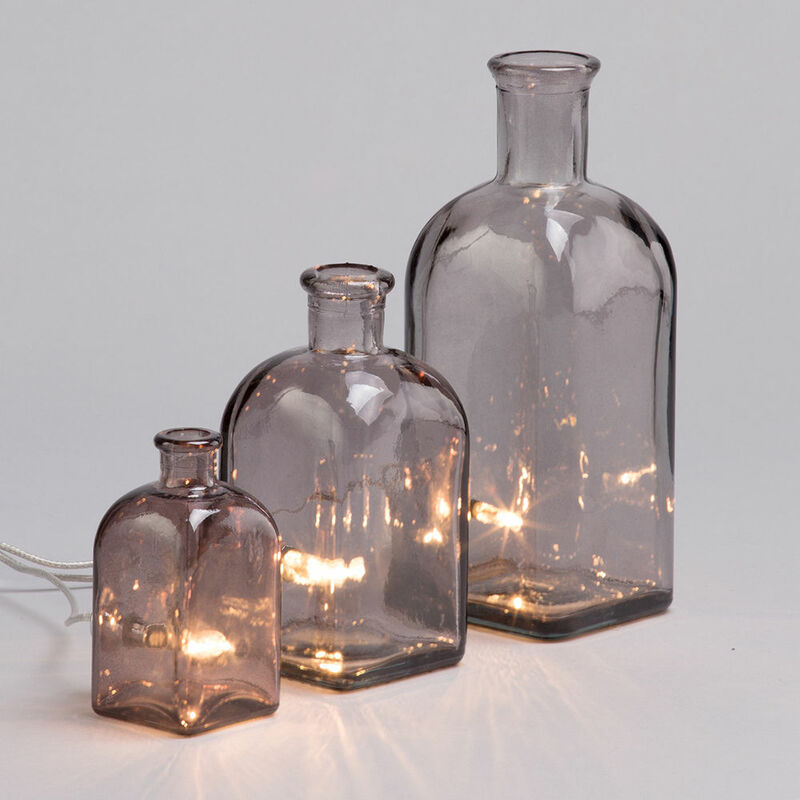 Bring a vintage look into your home with this truly stunning set of glass bottle table lamps. 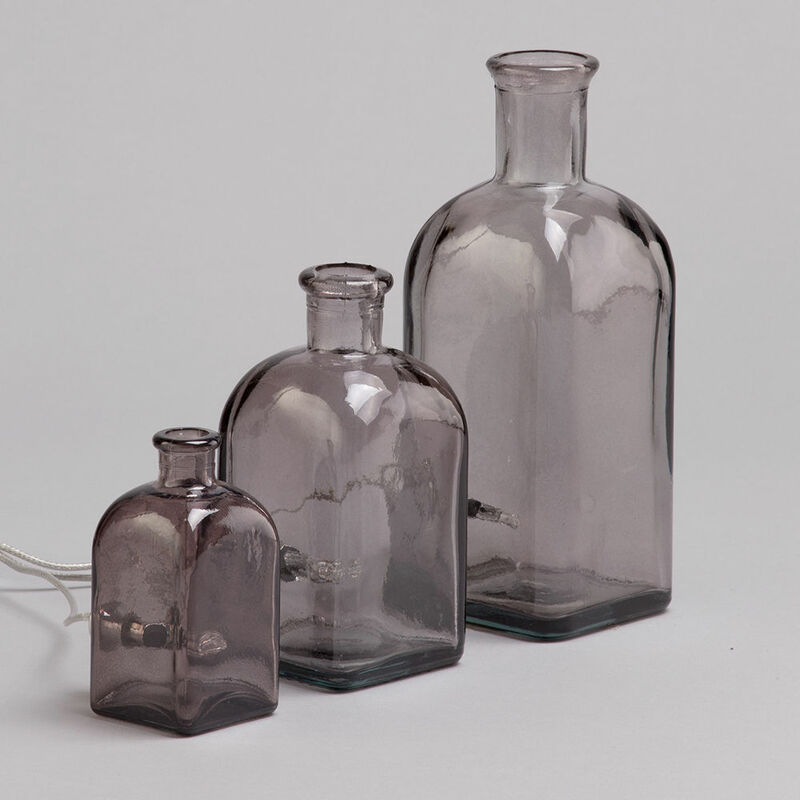 This 3 Light Vintage Glass Bottle Table Lamps in Smoke is a brilliant detail piece to have in your house and is absolutely brilliant for adding a new sense of character and personality into the décor. 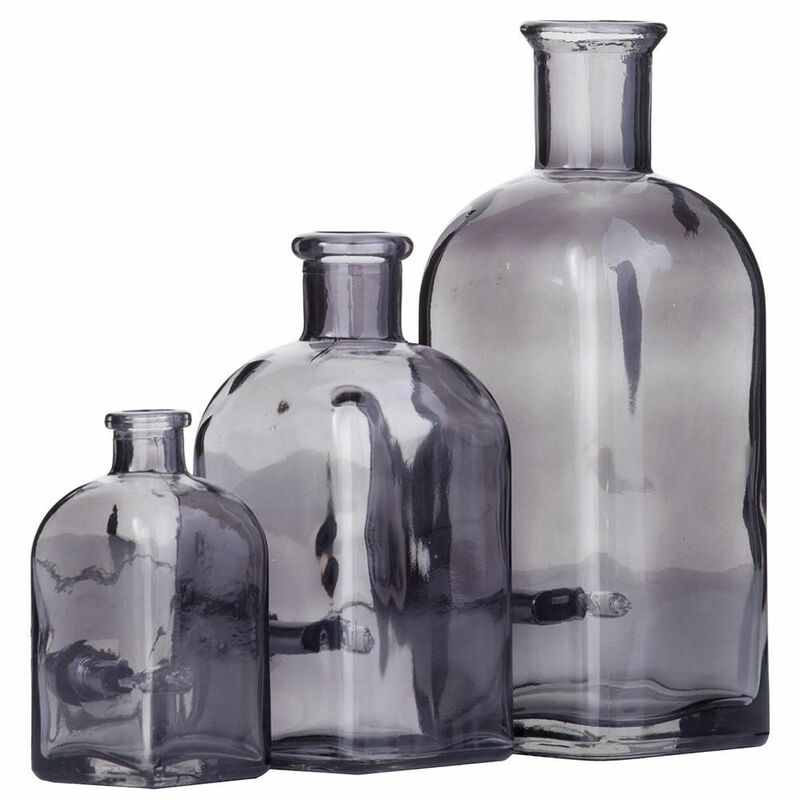 The 3 bottles have a very retro image, and the household item look that they have really does make them a feature which is capable of knocking the designs of the interior up a notch. 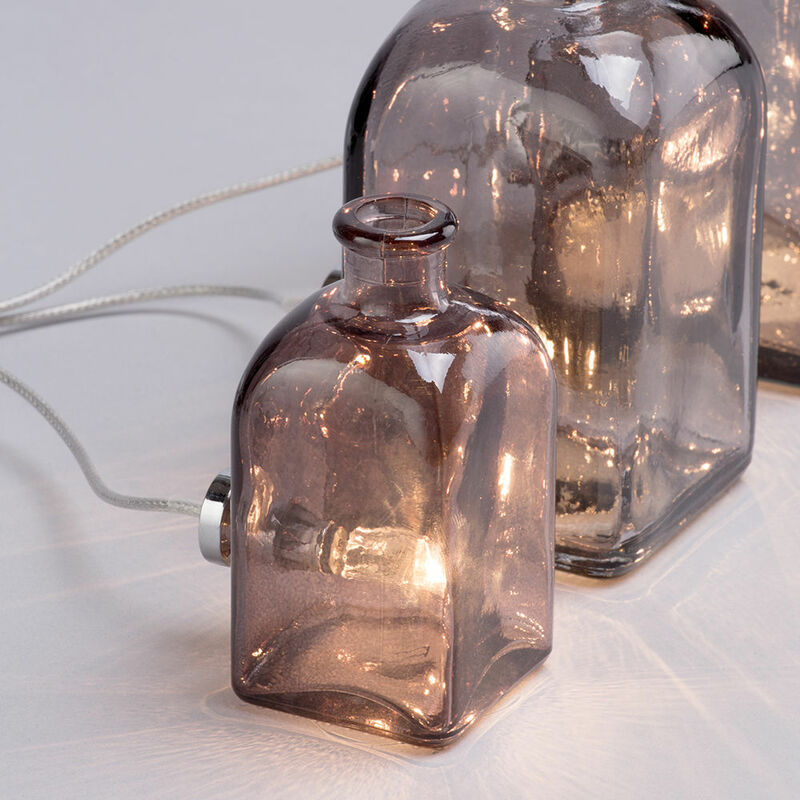 The lights are located within the bottles, and shine through the tinted glass which is used to form the structure, and this gives the lighting that is produced a great effect and darker tone. 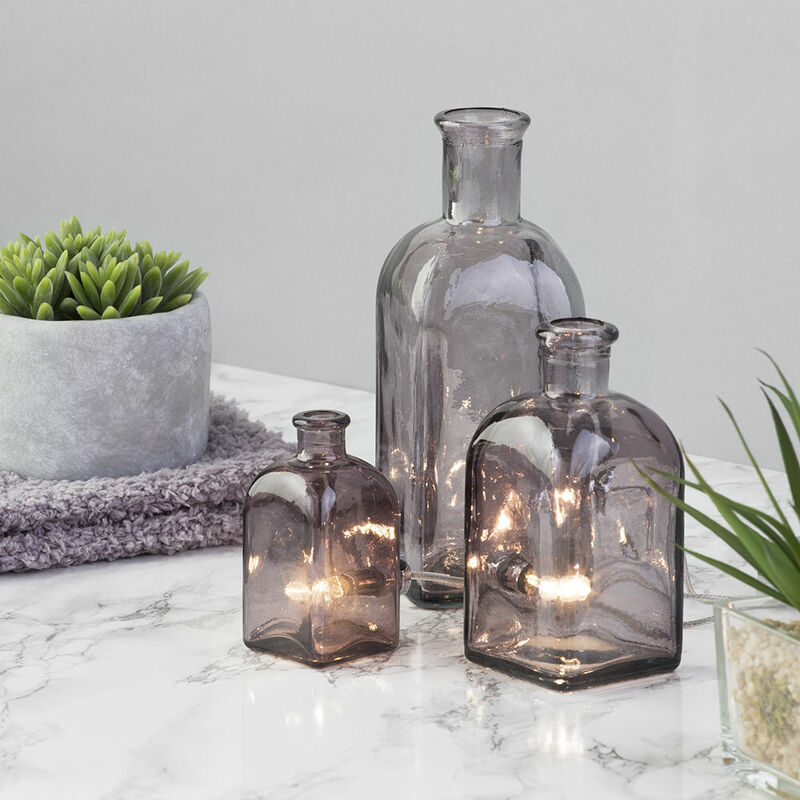 This set of lights is small and discreet and would be a great feature for a bedroom, living space, or hallway that is in need of some accent lighting and a unique style. Ideal for homes which need an injection of character.